Apple has released iPhoto 9.5 for Mac which features 64-bit support, iCloud Photo Sharing, a new interface for printing, and more. iPhoto ’11 gets a new look with stunning full-screen views for Events, Faces, Places, and Albums that let you take advantage of every inch of your Mac display. 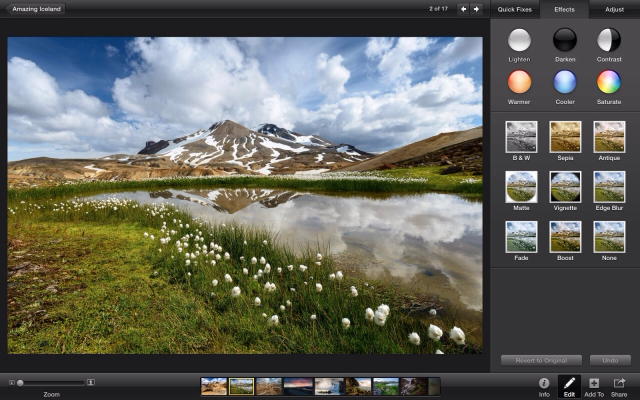 iPhoto also offers new ways to share and showcase your photos. 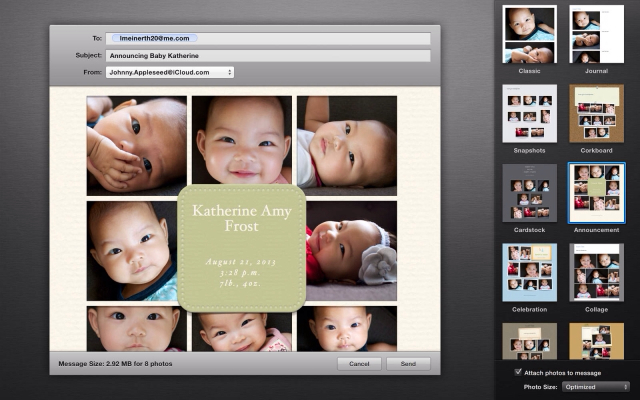 You can upload your photos to your Facebook Timeline and even view friends' comments right in iPhoto. Turn your email into something really special with ten Apple-designed photo mail templates. iPhoto '11 works with iCloud Photos, so the photos you take on your iOS devices automatically appear in iPhoto, and you can share selected photos with other people. Add movement and music to your photos with one of 12 dynamic slideshow themes. 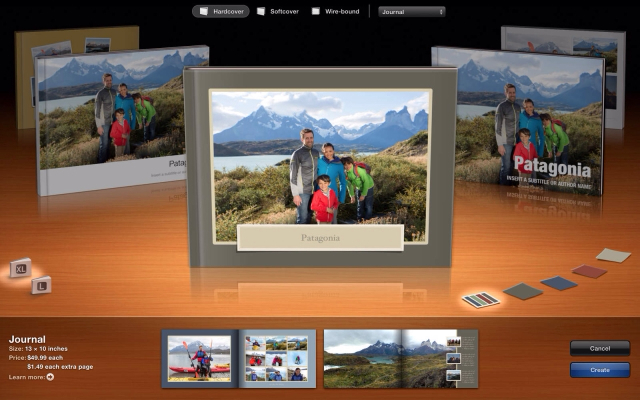 iPhoto ’11 introduces a new way to create professional-quality photo books quickly and easily. And new letterpress cards let you combine your photos and text with elegant imprinted designs. 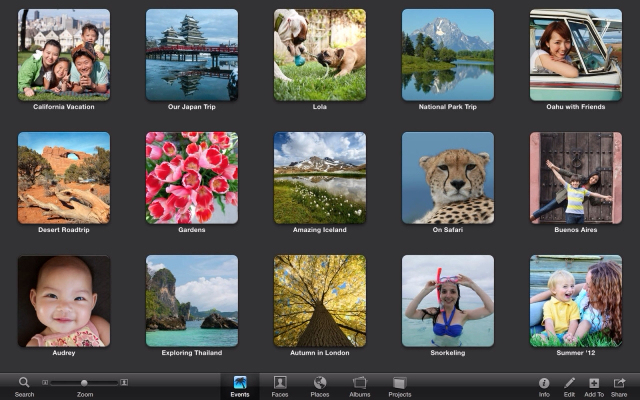 You can purchase iPhoto from the App Store for $14.99.